It’s that time of year again, Bloomsburg…it’s The Big Event! On March 28 at 8 a.m. students will make their way to the town park for the campus-wide day of giving. 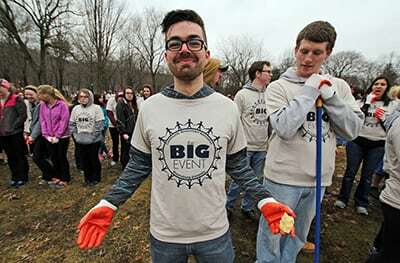 This will be the fifth year Bloomsburg has hosted the big event. Originally, The Big Event started at Texas A&M 32 years ago and now over 95 other universities host their own Big Event. It’s great to see so many students giving back to their community, but if it’s your first year participating with The Big Event, some aspects could be confusing. So, let’s run through some things you need to know before helping out at The Big Event. Make sure you wear long pants and a sweatshirt because it’s usually cold in the morning. Also, you never know where you’ll be working so you want to protect your legs and arms. Worse comes to worse, you can take any long layers off if they aren’t needed while you work. First students arrive at Bloomsburg’s town park at 8 a.m.; don’t be nervous about finding the exact location in the park. If you go down to the fountain and take a left you’ll see the flashing traffic lights at the end of the road. Badda boom! You found it! Once at the town park you’ll see registration tents. After registering you can help yourself to breakfast, while it lasts, get your free T-shirt, listen to the DJ, and get your equipment based on where you/ your team is placed. After a brief opening ceremony, your team will either walk, with provided directions, or be transported by bus to your job site. Students usually rake, paint, wash windows, etc. at job sites at homes, parks, the fairgrounds, or various places in Bloomsburg. Once you’ve finished at your job site, you’ll return to the town park to bring back the equipment. Last year alone there were 2,000 students who participated at 180 job sites all over the Bloomsburg community. 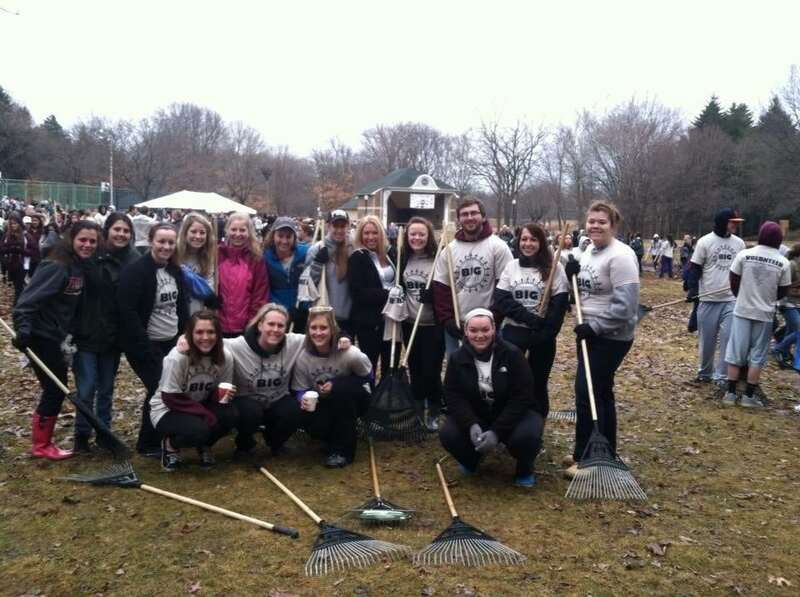 The Big Event is a fantastic way to give back to the Bloomsburg community, so enjoy your time giving back!! This day is one that you’ll always remember!